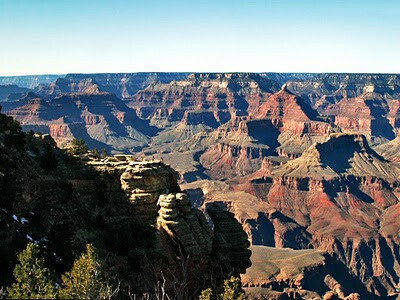 Grand Canyon is known for its visually stunning size and intricate and rainbow (colorful) landscape. 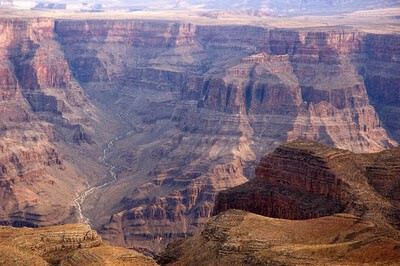 Grand Canyon is listed in one of the Seven Natural Wonders of the World. 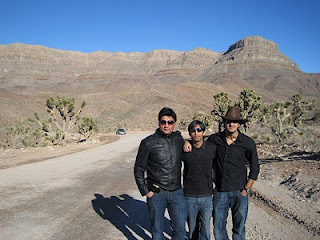 After the Hoover Dam, we proceeded towards Grand Canyon West Rim. 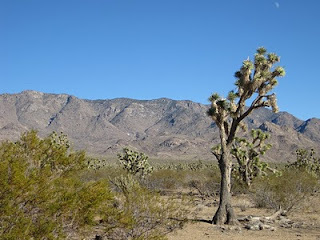 In the way, we have Joshua trees throughout the journey. These trees are fast growers for the desert. I would say that the place is heaven for the photographers, as you will get the rainbow mountains, panoramic views, river, fauna and flora and ancient american culture. 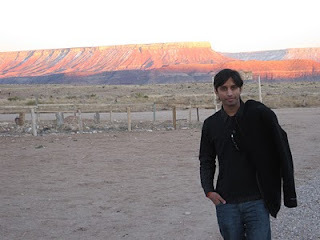 The early mornings (sunrise) and evenings (sunset) are really pleasant and soothing at this place. Even during winter, You will get the snow at these intricate mountains as well. 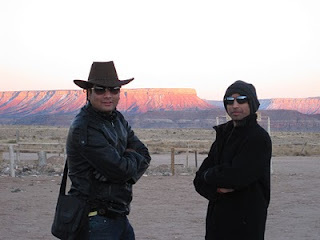 Other than sightseeing tours, the magical place offers many things to do in Grand Canyon - like sky-walk, hiking, rock climbing, whitewater rafting, running, and specially popular helicopter tours. 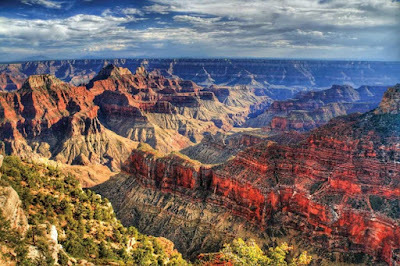 •Eagle Point: Home of the Skywalk, Skywalk Cafe, Creations by Native Hands gift-shop, Native American performances, authentic Indian village and spectacular views of the Grand Canyon. •Guano Point: Panoramic view of the Grand Canyon and Colorado River, walking trails along the rim of the Grand Canyon, Hualapai barbecue and mining artifacts. 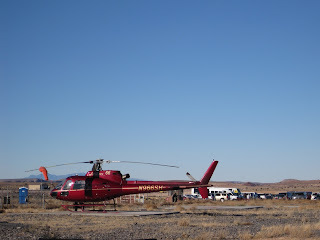 •Hualapai Ranch: Cowboy demonstrations, shows, horse-back riding, overnight cabins and wagon rides. Note: No personal electronic items/camera are allowed at the skywalk. As this was the christmas day and due to the various stops in our way, we missed to get the skywalk tickets (They stopped selling tickets before time). We got the Hualapai Ranch pass and visited that area in the meantime. 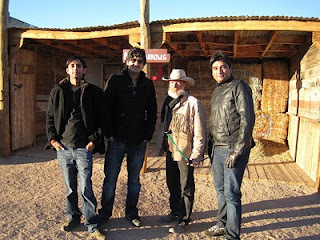 The whole area was filled with Cowboys of Arizona and a handful of visitors at that time. We had our supper there. We tried our hands and eyes at bows and arrows. Soon, the best moment of that day was coming soon. The sunset... Grand Canyon changes its colors within those finger counted minutes. Each layer of the rocks have its different color, depiction of the flaming mountain. We captured those moments in our disk as well as Cam disk. Now it was time to depart to Los Angles, as another busy scheduled day was on our cards. This place looks awesome. Certainly deserved to be seven wonders of world. Nice photography BTW! !